What's My Item Worth At A Pawn Shop? What Items Does A Pawn Shop Take? Every day, more and more Americans fall victim to gold buying scams. As the price of gold continues to hold at record highs, consumers are cashing in on the chance to sell or pawn their unwanted gold items. With the spike in gold prices, a number of unlicensed businesses have cropped up that prey on consumers looking to make quick cash for gold. “Rogue gold” buyers and gold buying scams scarcely fall on the radar of law enforcement and other regulatory agencies, who suffer from lack of sufficient funding to tackle the problem. 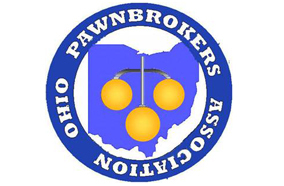 Emmett Murphy, NPA spokesperson, recently sat down with Ohio Loan Company VP Ric Blum to talk candidly about the issue of gold buying scams and how consumers can protect themselves from rogue gold buyers. Emmett Murphy: How prevalent are gold scams in the US today? Ric Blum: This is a difficult question to answer. While I’m sure there are many gold (precious metal) buying scams in operation today, it is difficult to count them or even estimate their numbers. If you were to do a Google search for “sell your gold” or something equivalent, you would find thousands of hits. I’m not saying every Internet buyer is trying to take advantage of someone, but, often you are sending your valuables to an unknown person or business and are taking a great risk. Next, we need to define “scam.” Is this a case where the alleged buyer takes your gold and gives you nothing in return, or, is this a situation where the buyer is paying you far less than a fair return on your gold? These are two entirely different situations. EM: Has the number of gold scams and rogue gold buyers risen since the economic recession triggered a spike in gold prices? RB: Again, another difficult question to answer. I don’t think there are any firm statistics on gold buying scams and most are not reported to any law enforcement, state reporting or regulating agency. However, with the price of gold at its current level, the rewards for dishonesty are greater. I’m sure there are many rogue gold buyers trying to take advantage of innocent people. EM: Who is cracking down on these types of operations? RB: For the most part, I would say no one. This is part of what a true scammer relies upon. For rogue gold buyers from out of state, you need to jump through a lot of hoops to even get someone to look into your situation. You can make a complaint to the local Better Business Bureau, but this does little good. Calling your local law enforcement agency will not help because the matter is out of their jurisdiction. Filing a complaint with the law enforcement agency where you may have sent your gold will likely not produce any better results. For that matter, even finding a scammer could prove futile. Most will move on a regular basis, or operate out of rented mail boxes. Next, it is your word against theirs. Unless you had your gold assayed locally before sending it, you really don’t know the exact gold content, or, if it was all genuine. Finally, the gold, or evidence is usually gone by the time a complaint is acted upon. EM: Can you give a description of how a rogue gold buyer might operate? A second would be where you are paid a very small percent of the value of your gold. Many people really do not know what they should expect to receive or the value of their jewelry, its gold content and often whether it is real or not. Another popular scam is gold buying parties. These are usually ‘sponsored’ by a local person who is encouraged to invite all of their friends over to their house and bring their jewelry to sell to a ‘gold buyer.’ Besides not often paying a fair amount to the sellers, there are usually kickbacks being paid to the party sponsor. EM: What advice do you have for people who are looking to sell their gold? How can people make sure the pawn shop (or website) they’re using is giving them a fair price? RB: First, there are more businesses buying gold than just pawnshops. Gold is being bought in flea markets, barber shops and auto repair facilities. Many are unlicensed and do not have the proper “legal for trade” scales as required by law. Never send your gold to someone out of town. The grass is not always greener on the other side. And, once it is out of your hands, you may never see it again. Take it to a local licensed buyer and get an offer. If you don’t like the offer, you don’t have to sell your gold. For the most part, buyers will be offering a percentage of melt value (scrap) for your gold. Any sentimental attachment you have to the item is between you and your jewelry, not the buyer. Grandma’s locket will get thrown in a container with everything else to be melted. And, with a pawnshop, you also have the option of just getting a loan on your gold jewelry and then redeeming your loan at a later date when you’re in a better financial position. Pawn Stars Rick Harrison and Ohio Loan's Ric BlumWhat can you find in today's pawn shop?